With the Blizzard of 2016 droppingmore than two feet of snow on Lancaster County, and schools closing in the early part of the week, several athletic events were rescheduled. Due to the closure of school on Monday, all scheduled games were moved to Wednesday, and the Wrestling and Bowling matches scheduled for Tuesday were moved as well. Still having an eventful week in Pioneer sports, LSNews has your weekly roundup of scores and more sports coverage. Part of an ongoing series of creative writing selections from Ms. Fetterolf's creative writing class. Check back next weekend for another installment. -THE LONE WOLF- by Nathan Musser Fenris, a child kidnapped and raised to be a hardened assassin, is now a man, free from his former master -- yet still an assassin. His next target jars him off his current course and onto a path filled with many dangers, but also, hopefully, redemption. Olivia Martin's ceramic vase made in Mrs. Lau's art class. On a brisk Friday afternoon, soon after record-breaking snow, the L-S bowling team headed to Rocky Springs to take on Manheim Central. Manheim Central came into the match with a 7-3 record, and an expected advantage. However, the Pioneers pulled out a remarkable, come-from-behind win. In the first game, the Barons started remarkably strong. Competitors Austin Bradley, Zach Kowalski, and Tanner Michael each broke 200 points in the first game, and totaled 701 of Central’s 1095 points. The Pioneers struggled as a team in the first game, scoring only 808 points total. In game one, seniors Adam Lee and Brittany Hatfield each scored 184, giving them a tie for the most points for L-S. Hatfield got her first of several turkeys late in the game. After a rough first game the score was 2-0 in favor of Manheim Central. Congratulations to the winning works by Lampeter-Strasburg high school art students in the 2015-16 Scholastic Art Awards. 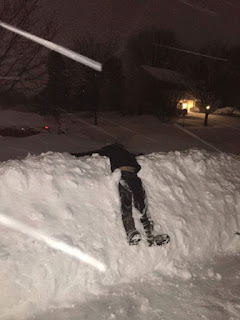 Snow struck the Susquehanna Valley, the I-95 corridor, and yes, the illustrious Lampeter-Strasburg School District over the weekend, to the tune of up to two feet. Readers reported various amounts, and the official measurement at Millersville University was 26.7 inches. L-S closed on Monday, and had two hour delays on Tuesday and Wednesday before returning in earnest Thursday. Tuesday, it was one of only three districts in the county to open at all. Athletic events scheduled for early in the week have been postponed, and the maintenance staff has been hard at work to get the campus back into working order. We checked in with many students on how they spent their snowy weekend, and received these photos. Check out more photos and submit your own in the Google Photos gallery below. 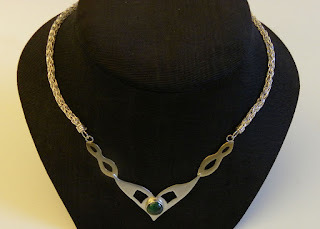 Gallery of photos we have compiled via Google Photos -- feel free to add your own! 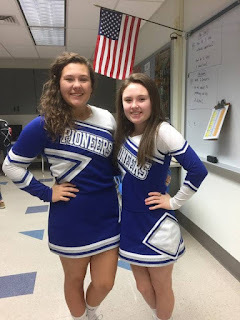 Knowles and Griffin to attend journalism conference in Washington D.C.
Two Lampeter-Strasburg juniors have received nominations to attend the Washington Journalism and Media Conference. All participants have to be either nominated for a position or apply themselves; the L-S attendees received invitations. Taylor Griffin and Cat Knowles, juniors, have decided to accept their call to this meeting sponsored by George Mason University in Washington D.C. This distinguished conference brings excellent students from all over the country together for one week to discuss and pursue their interests in journalism. They will stay in dorms on campus. Over the course of this week, participants get to attend assemblies hosted by guest speakers, such as New York Times staff and Susan Goldberg, the editor-in-chief of National Geographic magazine. They also will meet in small groups to work on networking and speaking skills, as well as participate in journalism simulations. It also prepares these ninth, tenth, and eleventh graders for college admissions. On Wednesday, the L-S wrestling team had their final home match against Cocalico, beginning with the 170 pound weight class. Johnny Franklin was matched up against Trevor Seiders. Trevor quickly tackled Johnny, entangling him like a pretzel. As Trevor tried to use his hip to get the point, Johnny struggled to defend. In the second round, Johnny began on the mat. He continued to remain defenseless as Trevor powered over him. In the third set, Johnny had the advantage of Trevor being on the mat, but Johnny, tired from the first and second sets, struggled as Trevor again tackled him. A timeout was called as there was a blood sighting on the mat; Johnny went to check in with the trainer as the blood is cleaned up. When the blood splatter is cleared, the match continues with Johnny in a tackle. Trevor held up Johnny by his arms until Johnny flipped over him, allowing Trevor to win the match. The score was now 0-4, Cocalico. This evening, the Lady Pioneers faced the Northern Lebanon Vikings in what was predicted to be a contested league matchup. L-S entered the game with a league record of 8-5, compared to Northern Lebanon traveling to Lampeter with a league record of 12-1. The team members were unsure how the game would unfold, given that Northern Lebanon had been defeated by Lancaster Catholic by a mere four points, while L-S had fallen to the same opponent by forty earlier in the season (albeit without leading scorer Nevin Hoenninger). It's no secret that the landscape of the Lampeter-Strasburg School District is changing, but what effect does that have on the educational program at L-S? 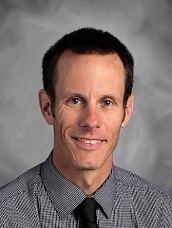 We spoke with Mr. Edward Krasnai, leader of the guidance department at L-S High School, about the changes he has seen over his 11-year tenure with the District. Krasnai stressed that one "has to look deeper at the numbers, at what's really happening" in order to understand what they mean, before conceding "that's not what we're geared to do." One of the factors in the Pennsylvania Department of Education's school performance profiles is growth among historically underperforming students, which includes students with disabilities, English language learners, and economically disadvantaged students, the latter two of which have grown at L-S in recent years. Have you ever received that one package in the mail that packages something the size of a golf ball in a refrigerator-worthy box? Or maybe you were given five napkins from the waiter when you asked for one. Regardless, it was too much. Too much packaging. Too much waste. Too much. Our human footprint doesn’t stop at how much consume; the final impact we have lies in what discard. And brace yourself. I have a few shocking numbers. Americans generate an average of 1600 pounds of trash per person, per year. In 2006, our per capita trash disposal rate was 4.6 pounds per person per day, 65% residential and 35% commercial. 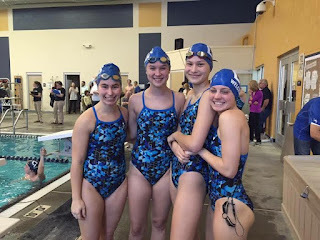 The weather played a significant factor in this week's athletic competition, cancelling a bowling match on Friday, and a wrestling match on Thursday. Aside from that, Pioneer varsity athletic teams did very well, losing only three events all week. 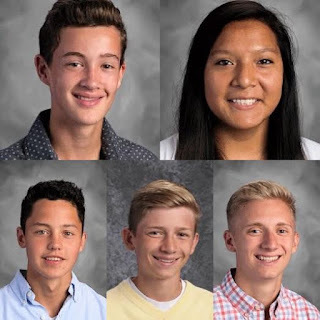 The rising ukulele phenomenon among teen musicians at Lampeter-Strasburg High School naturally gives reason to the sweet, gentle tones heard ringing through the hallways by passing students. As they marvel at its joyful sound, the ukulele continues to grow in its appeal to a new generation. Features in pop songs such as "House of Gold" by the emerging band Twenty One Pilots and "Riptide" by artist Vance Joy offer insight into the recent attraction towards ukuleles. This trending folk instrument has a certain charm that fascinates its listeners, including junior Joey Shiffer. Often found strumming along between classes, he delights in sharing the magic of the ukulele with his peers. 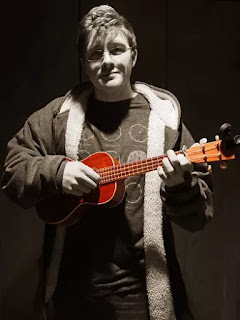 While it seems like a matter of popularity, Shiffer claims that his purchasing a “uke” was a unique decision, an idea that he had been saving for a long time. A collection of gift cards to Guitar Center he had received around Christmas presented him with the means to fulfill his dream.